Los Medanos Elementary student Catalina Lemire said she enjoys learning math using game pieces. Justin Timberlake may never have imagined that his music would help 2nd-graders learn math. 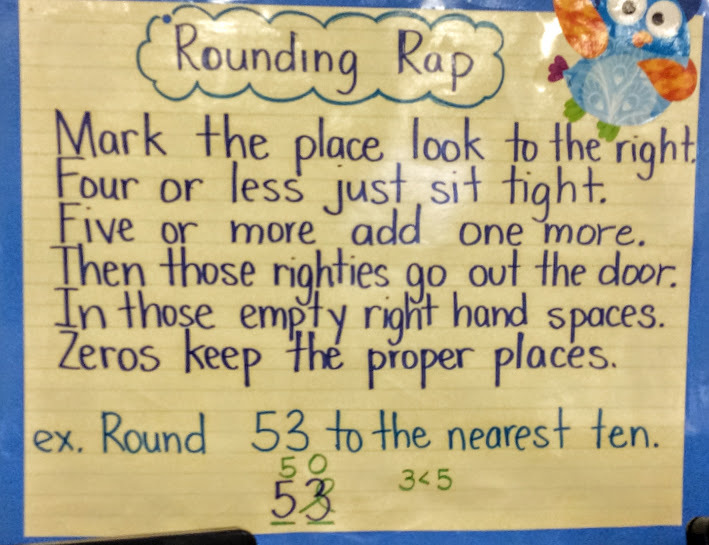 Adding her own lyrics to the catchy song, “Can’t Stop the Feeling,” teacher Logan Marks at Los Medanos Elementary in Pittsburg uses music to teach about place value. Marks said her students are able to grasp Common Core standards in math and English language arts more easily then reading about them if she introduces new ideas with memorable song lyrics. The strategy addresses a central challenge faced by teachers: to translate dry and abstract standards into learning experiences that students enjoy. “It really helps them on tests,” Marks said. “They can sing it back in their heads.” Plus, students enjoy getting out of their chairs and dancing, she added. Liet said songs and chants like a “narrative writing rap” that Marks created help her to remember what she has learned. Los Medanos Elementary, located in a working class suburban community in the east Bay Area, has a diverse student body. About two-thirds of its students are Latino, and 12 percent are African-American. Eileen Chen, Pittsburg Unified’s director of educational services and the former principal of Los Medanos, said teachers there do whatever it takes to help their students learn and feel connected to the school community. “They don’t hesitate to go outside the box,” she said. Many teachers at the school use songs, chants, raps, movement and games about academic concepts and daily routines to help engage the students. 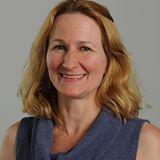 Pamela Spycher, project director for the nonprofit educational consulting organization WestEd who helped write the guidelines, said this type of instruction helps students feel self-confident about learning and included in the school community. “Aside from a more academic learning standpoint, the use of these approaches creates a motivating and engaging – and even joyful – learning environment for children and youth,” Spycher said. While these techniques can be effective in reaching students from diverse cultural backgrounds, they are enjoyable for all students, educators say. Principal Joanne Rovner-Curtis said they are just good teaching practices. “If you put a little beat to it, the kids usually pick up on it,” she said. The school has beaten state averages on Smarter Balanced tests in both English and math and has been named a “Top Bay Area Public School for Underserved Students” for two years in a row by the nonprofit organization Innovate Public Schools. 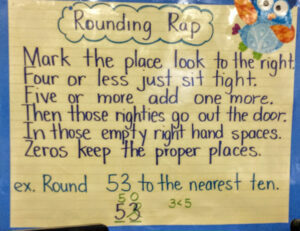 Rounding Rap reminds Los Medanos Elementary students how to round up numbers. In spring testing, 43 percent of the school’s low-income Latino students met or exceeded math standards on the Smarter Balanced standardized test, surpassing the state average of 37 percent for all students. In addition, Los Medanos Elementary received a California Distinguished School award in 2012 from the California Department of Education in recognition of its efforts to close the achievement gap between African-American and Latino students and their white peers. Marks decided on her own to incorporate music and dance in her lessons. But some of her colleagues who are using movement, rhythms and games were trained several years ago by Sharroky Hollie, executive director of the nonprofit Center for Culturally Responsive Teaching and Learning, said Rovner-Curtis. Hollie said that his training focuses on “going to where the students are culturally and linguistically by how you teach them, talk to them and relate to them.” This includes validating and affirming ways of communicating that are comfortable to students. He also stressed the importance of teachers believing their students can complete rigorous assignments. Los Medanos’ school motto embodies this belief: “Where we expect the best.” Everyone at the school – including administrators, teachers, students and parents – embrace this philosophy and challenge themselves and the students to live up to it, Rovner-Curtis said. To celebrate students’ success, the school recently gave awards to those who met or exceeded standards on state tests. State Superintendent of Public Instruction Tom Torlakson visited the school to make the presentations. During his visit, Torlakson went to classrooms to see students and teachers in action. In a 4th-grade class, students learned division by playing a game in which they picked a card with a number on it and rolled a die to decide what to divide it by. They placed small coin-shaped objects on blank squares on a chart showing the quotient and remainder as they figured out how many times the number they rolled could go into the number on the card, along with how much was left over. When students demonstrated how they got their answers in front of the class, their classmates snapped their fingers if they agreed. 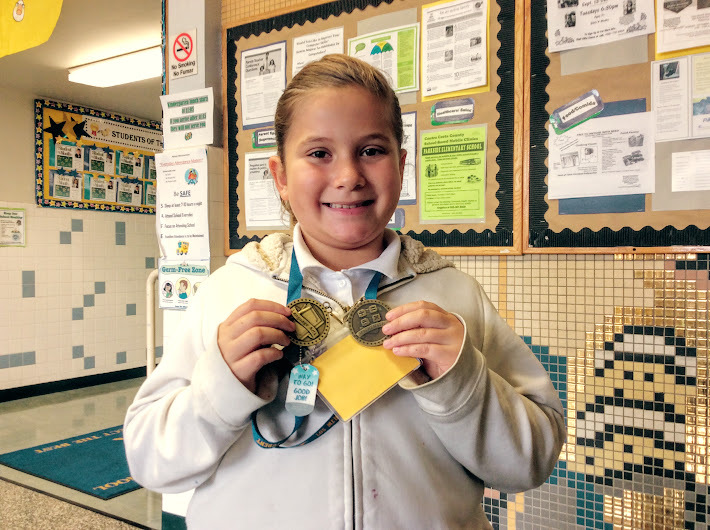 Nine-year-old Catalina Lemire, who earned awards in both math and English, said she enjoyed learning division using game pieces because they help her to understand the difference between whole numbers and fractions. Torlakson said he was impressed by the enthusiasm and teamwork among students and teachers at the school. Sometimes, the songs or chants at Los Medanos help build school spirit. Teacher Alicia Stevenson shared a tune with a rhythm-and-blues feel to celebrate that it was Friday.